Summary: This article provides the most detailed description of the DH Model available—its view of the human psyche, its techniques, and more—in terms of how it aligns with Stanislav Grof’s paradigm for healing. I had the good fortune to attend a conference this year where Stanislav Grof was presenting a paper on his work in developing new therapeutic paradigms over the last half century. Stanislav Grof is a man to whom we all owe a great deal. Over the last fifty years, he has been instrumental in generating innovative and fresh perspectives on the definition of healing, in response to the medical, psychiatric, and psychological establishment’s approaches to this topic. He has managed to create important changes, working both from within these establishments and outside of them. Without his tireless dedication to the redefinition of psychological health and imbalance, we would not be in the position we are in today to offer the transformative processes of Depth Hypnosis to as wide an audience as we do. Grof received his M.D. from Charles University in Prague in 1957 and then completed his Ph.D. in medicine at the Czechoslovakian Academy of Sciences in 1965, training as a Freudian psychoanalyst. In 1967 he was invited to become an Assistant Professor of Psychiatry at Johns Hopkins University School of Medicine in Baltimore, and went on to become Chief of Psychiatric Research at the Maryland Psychiatric Research Center. In 1973 he was invited to the Esalen Institute in Big Sur, California, and lived there until 1987 as a scholar-in-residence, developing his ideas on Holotropic Breathwork. He is the founding president of the International Transpersonal Association that was founded in 1977. Early in his career, he worked closely with Otto Rank, one of Sigmund Freud’s main students. Rank had broken ties with Freud due to his belief that birth trauma was the source of most neurosis rather than Oedipal impulses. Rank’s work was instrumental in Grof’s development of his Holotropic Breath model, which focuses on the release of experience from the time of birth as a therapeutic intervention for many types of symptoms. He also participated in scientific experiments with LSD in Prague in the 1950’s before LSD was made illegal by scientific and government establishments. As he presented his manifesto that he has been presenting for decades in his advocacy of the participation of consciousness in the healing process, I realized how strongly influenced I had been by him in the development of Depth Hypnosis. It was not that I was unaware of how strongly his writing had stirred me over the years, but I had not ever actually heard him speak or write about this manifesto. As I listened to him, I realized that we had been essentially walking the same path in seeking new definitions in healing for a long time. His articulations of the steps on that path inspired me to try and articulate how the development of Depth Hypnosis fulfills the promise of his call to action in establishing new measures and criteria for emotional and mental health. Depth Hypnosis is a path of personal transformation that I developed beginning in the mid-nineties. By synthesizing key principles of shamanism, energy medicine, Buddhism, hypnotherapy, and transpersonal psychology, Depth Hypnosis brings the ancient healing wisdom of many cultures to the unique imbalances of contemporary Western society. As breathtaking as this manifesto is, I do believe that Depth Hypnosis meets it and supports every point. I would like to demonstrate briefly this assertion in the following discussion. • A comprehensive understanding of how the Buddhist principles contained in the Four Noble Truths define the sources of suffering that underlie the presenting symptoms. Specifically, practitioners are taught to listen carefully to the emotional biography of their patients in order to ascertain where attachment, aversion, and misapprehension may be driving the presenting symptoms. • A comprehensive understanding of how fundamental definitions of imbalance contained in shamanic perceptions of the psyche can be applied to the root causes of presenting symptoms to relieve them. Specifically, these principles include the nature of power loss, soul loss, and energetic interference and how they may be driving the presenting symptoms. • A deep and compassionate holding of the entire scope of the patient’s emotional biography and how it points to the individual’s relationship to the previously outlined points of the compass. Rather than depend on pre-defined definitions of imbalance held in the diagnostic models provided within the Diagnostic and Statistical Manual of Mental Disorders, the DH Model allows for a lightly guided process of discovery of the imbalances driving the symptoms. This process of discovery takes place on every level of the individual’s experience – mentally, emotionally, physically, and spiritually. The healing processes of Depth Hypnosis are not confined to descriptions of purely mental states as in traditional psychiatric and psychological approaches. Also, within the DH model, there is no assumption that the practitioner knows the architecture of emotional and psychosomatic disorders and that the patient does not. It is understood that patients likely know not only the cause but also the antidote to the presenting imbalance. It is simply a matter of allowing the patient enough space and guidance to discover the emotional and psychosomatic disorder within. Depth Hypnosis’ adaptation of the catalytic processes of insight inquiry, power retrieval, soul retrieval, the removal of energetic interference, soul part exchange, and parts integration provide powerful therapeutic mechanisms. These interventions address a wide range of imbalance across the full spectrum of the individual’s psyche. • Insight inquiry is a process of interactive questioning which adapts self-directed forms of inquiry from vipassana meditation techniques. The formulation of questioning relies solely on the response to previous questioning. This provides a strong, flexible support in the process of discovery of the issues underlying presenting symptoms. • Power retrieval addresses the loss of vitality that is at the root of most imbalances. One of the reasons that people do not heal is because they do not have effective mechanisms for accessing and directing personal power. Power retrieval corrects this deficit and provides an engine for healing. • Soul retrieval addresses the effect of trauma. In Depth Hypnosis, traditional shamanic soul retrieval techniques are adapted into the processes of regression therapy to allow for the seamless movement of healing across levels of the psyche that are not accessible through traditional psychotherapeutic interventions. Prenatal, past life and age regression, and soul retrieval locates the trauma at any level of the psyche and provides an effective intervention to shift patients’ relationship to that trauma. • The removal of energetic interference helps recalculate and define personal boundaries. This allows for the spontaneous reorganization of the individual’s psyche. New definitions of the self and identity through the removal of energetic interference provide powerful antidotes to hard to access imbalances. • Soul part exchange provides further strategies to correct the blurring of personal boundaries and muddled interpersonal relationships. As patients free themselves from the interference of other people’s priorities and interference in the way they choose to place their personal energy, many forms of imbalance can be addressed and corrected with soul part exchange. • Parts integration provides a method for defining and healing splits that lie deep within the psyche that exist in response to external or internal experience. The fabric of the psyche can be rewoven and repurposed through this approach to the lack of personal integration that is so prevalent in the modern inter- and intra-psychic environments. Depth Hypnosis provides several strategies that facilitate self-exploration in innovative and effective ways. Many of these lie in what Thupten Jinpa, His Holiness the Dalai Lama’s main English language interpreter, has called “Depth Hypnosis’ creative use of the altered state.” The altered states that the DH Model employs to discover and resolve imbalance at multiple levels of being include dreams, guided meditation, suggestion hypnosis, regression therapy as already discussed, meditation, and the shamanic journey process. The use of dreams as a portal into the deeper workings of the psyche as well as into the symptoms that are presenting at the surface of experience is not new in psychotherapy. However, the DH Model works with dreams to understand what they are pointing to beyond the traditional approaches of canned interpretation of symbols. Patients are helped to establish individualized dream lexicons and they are tutored in the native language of dreams – the language of image. This allows them to learn what their deeper motivations and intentions are and helps them perceive how these deeper aspects of the self are driving their surface experience. Dreams are also mined for understanding and articulation of the energetic patterns that drive imbalance on the mental, emotional, spiritual, and physical level. The innovative use of regression based on states generated by dreams allows for the healing of normally inaccessible imbalances that are indicated through the dream state. The use of guided meditation geared to evoke the native imagery of the individual is also used as a therapeutic intervention as is suggestion hypnosis. The suggestion hypnosis generated in the DH Model is very different from the canned scripts that are provided for in most forms of hypnotherapy. Again, patients are helped to discover their own motivation and intention for healing and that form the basis of suggestions for change in the presenting symptoms of imbalance. Patients are introduced to various forms of meditation to help support and stabilize the therapeutic process. The level of deep internal organization that meditation supports allows for long-lasting change on multiple levels of experience. The shamanic journey is a process that has been used by shamanic practitioners since time immemorial to contact the deepest forms of transpersonal power available to human beings. Through the consistent and organized development of relationship with compassionate fields of power, clients are able to address issues of trust, fear and resistance that often interrupt the therapeutic process when they are not effectively addressed. These issues cannot be easily addressed in traditional approaches to imbalance. Through the shamanic journey and various forms of meditation practice, patients are able to access a non-dogmatic relationship with spirit that is at once nourishing and transformative in the DH Model. Through these processes, patients are met where they are in their therapeutic process and gently guided to greater healing and empowerment. This weakens the roots of imbalance and allows the journey toward healing to be a movement toward wholeness rather than only a movement away from a pathologized definition of self. At no time are patients required to accept definitions of spirituality that are not resonant with them. This approach, which is fundamental to the DH Model, allows those who are suffering from a disrupted relationship to spirit arising from a betrayal or defeat of trust in more orthodox forms of spirituality. This also helps those who are suffering in nihilism or cynicism to access the power of spirit without a catastrophic confrontation of their value systems. Through Depth Hypnosis’ approach to spirit, they are able to recover their trust in the goodness of themselves and the world that is fundamental to all healing. In order to heal, patients are challenged to begin to view themselves as something larger than the definitions of self that are based in self-centered separateness. They are challenged to redefine themselves as something other than a separate being in opposition to the world around them. People who are suffering are generally willing to step outside the boundaries of societal or familial definitions of “normalcy” in order to heal. The presentation of imbalance through the presenting symptoms then becomes a vehicle for the complete redefinition of the self in relationship to the world surrounding it. The resolution of presenting symptoms, therefore, is seen as an opportunity for total self-transformation. That transformation is predicated on a larger participation with the cosmos. This is what heals. 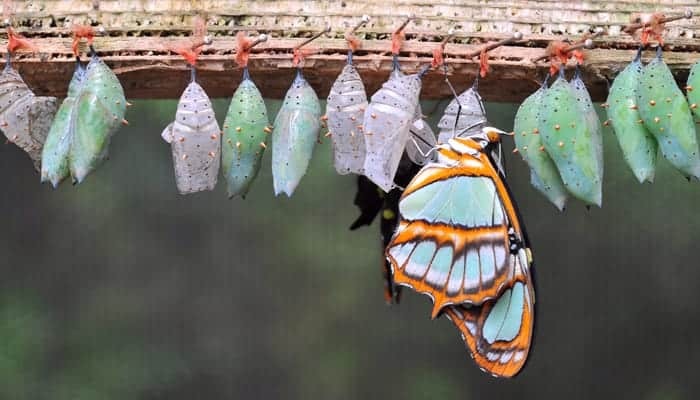 As patients experience this transformation step by step through the DH Model’s processes, they begin to consider new ways of understanding their experience on a material level. The classes that form the curriculum at the Sacred Stream, a school for consciousness studies I founded to train healers in the DH Model and its components, offer more education regarding these new ways of understanding the self. The classes in Applied Buddhist Psychology, Integrated Energy Medicine, Empowered Living, Applied Shamanism and Depth Hypnosis are designed to meet people as they step into this larger level of inquiry. As they delve into an academic engagement with these subjects through the different facets each form of study provides, they are able to expand their understanding of how their own personal experience forms the material world around them and how the material world around them informs their larger experience. I am extremely grateful to Stanislav Grof for helping to articulate the call to action that Depth Hypnosis meets in the way that it works to relieve suffering. That suffering may present itself through depression, anxiety, eating disorders, panic disorders, attention disorders, all forms of addiction, and trauma. Depth Hypnosis, in meeting each of the criteria that Dr. Grof has proscribed, offers a new mapping of the human psyche, a new description of the architecture of emotional and psychosomatic disorders, effective therapeutic mechanisms, new strategies in psychotherapy and self exploration, the inclusion of the spiritual dimension in the definition of the human psyche and in the definition of the cosmos, and a new definition of the nature of consciousness and its relationship to matter.